Photography 101 Day 19 Today, you and your camera are seeing double. Double can be interpreted in many ways. Your twin sisters. Your neighbor’s two poodles. Your vision during a dizzy spell. Your doppelgänger. It’s not too often we see Shylo and Shyan sitting still. 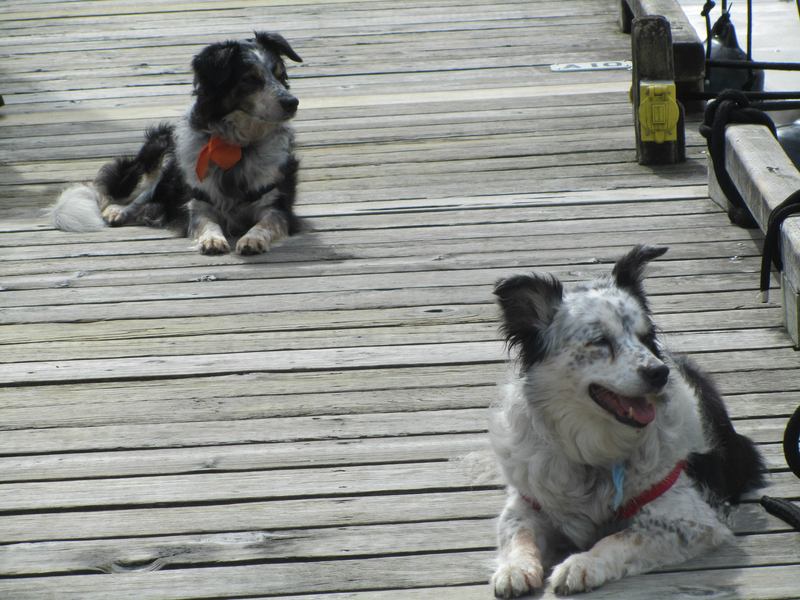 Being border collies, they are usually quite active and the docks are usually quite crowded with humans and other furiends. This moment in time, mom caught them on camera and they became part of our squadron’s 2014 Pets & Wildlife calender. When the humans first visited Desolation Sound back in 2005, a couple of years before they joined PMPSS, they ventured into Roscoe Bay on Cortes Island for a couple of nights. 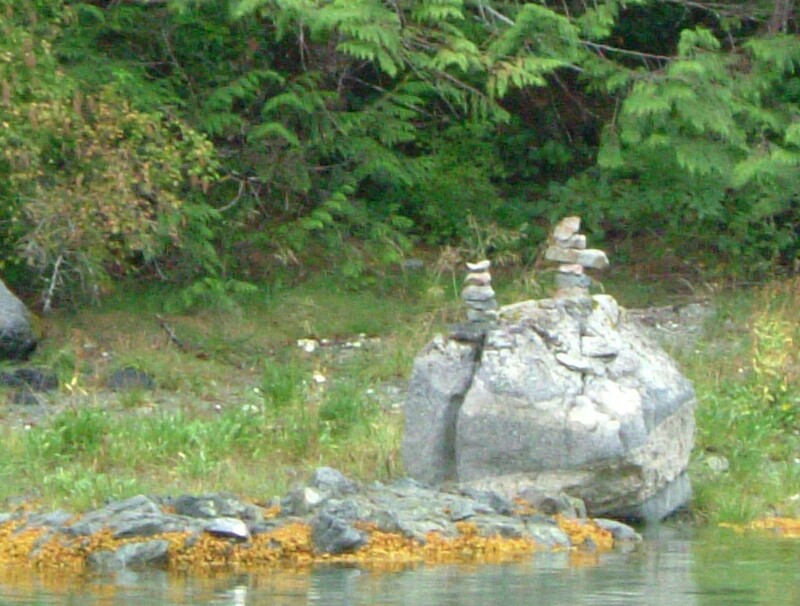 On the way out, mom glanced to shore and saw these two Inukshuks perched on a large boulder… in the middle of nowhere it seemed! Rushing to find and then position her camera, she managed to use the zoom feature to take a quick snap before they had rounded the corner out of the bay. 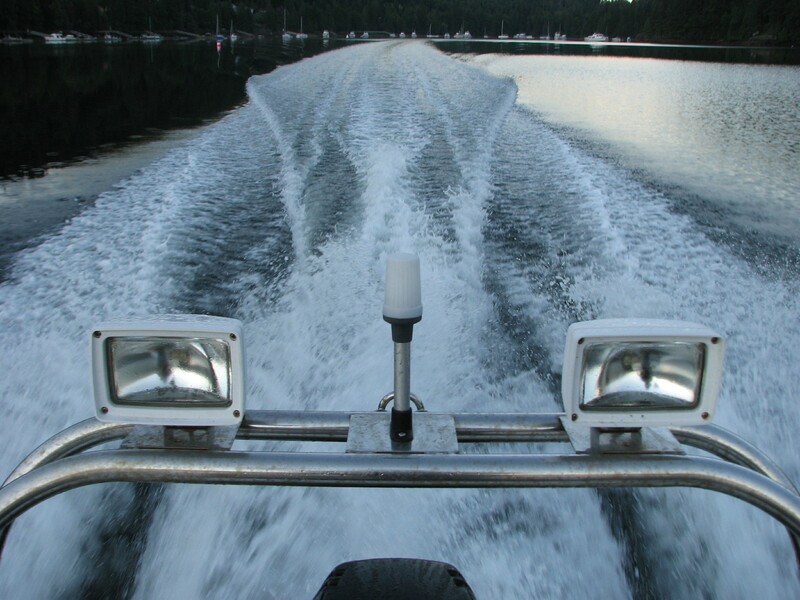 The humans really like the Baha style lights on the roll bar of the dinghy they call Jester. None of the other squadron members have them, and it makes Jester look really sporty. One early evening the humans went gunkholing in Squirrel Cove (also on Cortes Island) and entered a mysterious looking lagoon. The entrance to that was really quite shallow and they even scraped bottom a little going through. Now this was what the silly humans found out later were called “reversing rapids” where the water always rushes into the lagoon on the high tide, so trying to leave the lagoon against the rapids at that time proves very difficult, which it was, and as the evening darkened into night, the humans were really glad to have those lights! 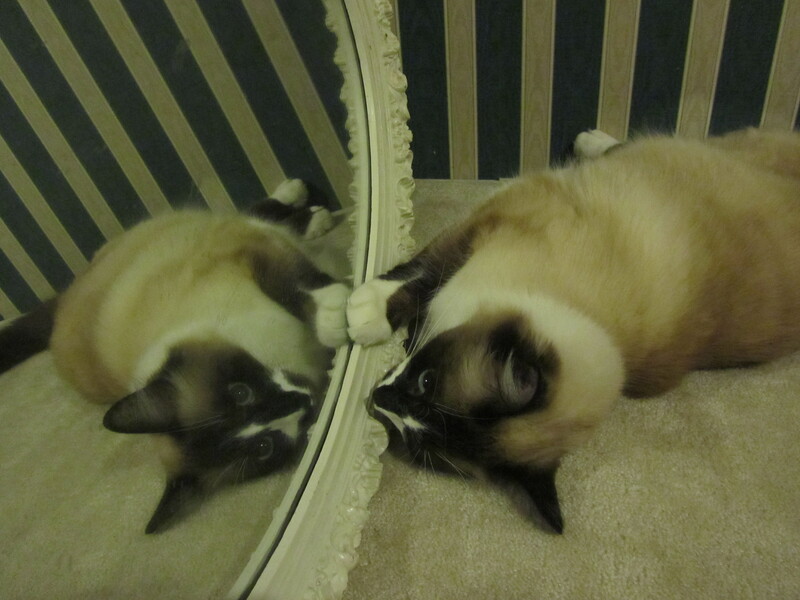 Just a meowror mirror image of myself…there’s a play on word poem in there somewhere!